In early March, while boisterous Carnival celebrations filled the streets of Rio de Janiero, bulldozers began clearing away Amazonian jungle for roads leading to the construction site of the Belo Monte hydroelectric dam on the Xingu River in northeast Brazil. The $10 billion dam is planned to be the third largest dam in the world. Government officials say its construction will generate thousands of jobs and create electricity for 23 million homes. Environmental groups and indigenous activists in the area, however, condemn the project, which they say will displace some 20,000 people, and destroy over 100,000 acres of land in an area full of ecological diversity and indigenous communities. "We don't want Belo Monte because it will destroy our rivers, our jungle and our way of life," Raoni, an indigenous leader from the Kaiapo tribe told the BBC. Ireo Kayapo, another leader, told reporters that if his tribe was pushed from the land, "there'll be war and blood will be spilled". Plans for the Belo Monte dam began in the 1980s under a military government, but its construction was delayed largely due to environmental concerns and resistance from activists. 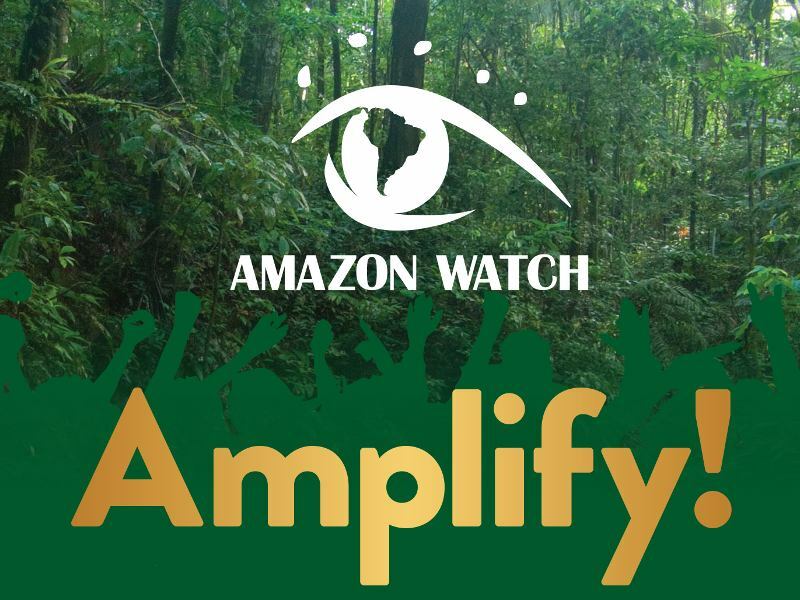 According to the environmental group Amazon Watch, 80 per cent of the river is planned to be diverted for the dam, causing massive droughts and flooded forests. In order to keep the dam in operation during the three to five month-long dry season, upstream and tributary dams will be needed to store water, causing further displacement and environmental havoc. 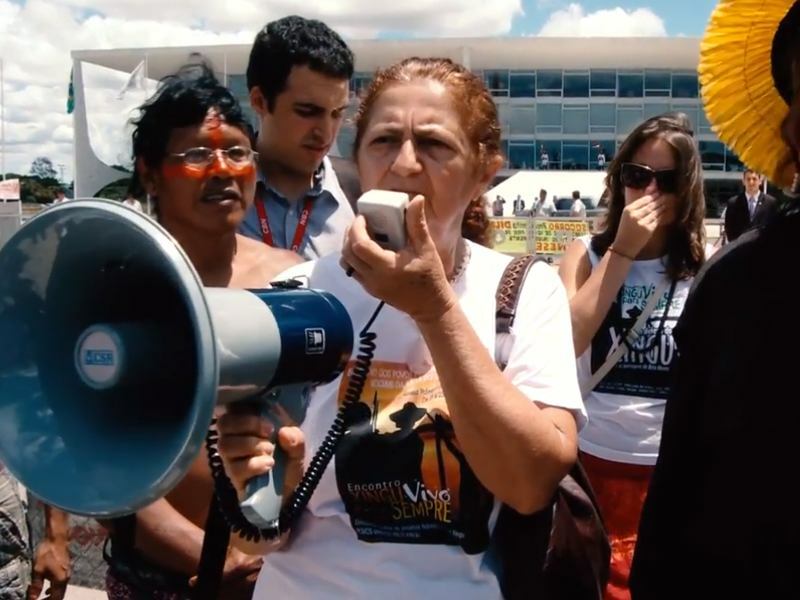 In February, indigenous groups gathered in Brasilia, the nation's capital, to deliver a petition against the dam to Brazil's recently-inaugurated president Dilma Rousseff. The petition included over half a million signatures, and demanded that Rousseff end the plans for the "disastrous" project. The bitter standoff between indigenous activists and the new president comes just three months after Rousseff took office. She told the crowd at her inauguration: "Brazil has the holy mission to prove to the world that it is possible to have speedy growth without destroying the environment." But these words fell flat as her administration quickly okayed plans for the controversial Belo Monte dam. The move did not surprise long time analysts of Rousseff's green credentials. Gustavo Faleiros, a Brazilian environmental journalist and editor, said that even going back to the days when Rousseff held the position of minister of mining and energy under the Luiz Inácio Lula da Silva administration, she was seen "as a leader with an old-fashioned view of development". This view prioritised economic growth over environmental concerns. With the Belo Monte dam, this vision of development is totally at odds with the livelihoods and rights of indigenous people on the Xingu River. Mega-projects typically confront indigenous communities with disease, loss of food and clean water sources, cultural disintegration and human rights abuses by illegal loggers, migrant workers and land speculators The promise of development and temporary jobs is also an empty one for the region's farmers and fisherman who rely on the land and river to survive. While Brazil continues to establish itself as an economic powerhouse, with 7.5 per cent growth in 2010 alone, the new president needs to focus on indigenous rights and the environment if the country is to progress in an inclusive and sustainable way. By pushing forward with this dam, the Dilma government is trampling on our rights. This is not just about defending the Xingu River, it’s about the health of the Amazon rainforest and our planet.